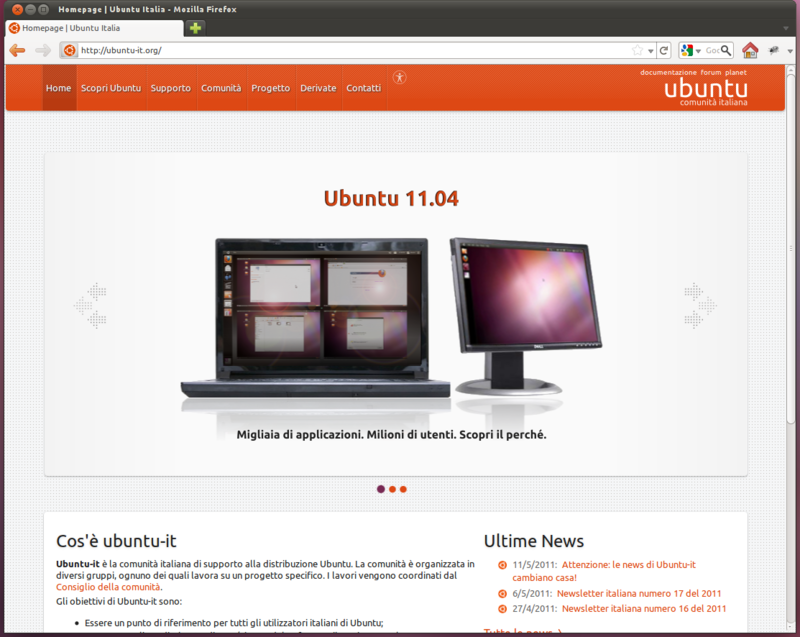 After six months work (that really means work-after-real-work-to-be-more-precise-free-time) ubuntu-it gets a new look and a new website engine! The theme is based on drupal-light-theme and if you like it we’ll be happy to clean (refactoring code) and share on LP for your LoCo websites. This entry was posted in News and tagged ubuntu-it, webdesign on 12 May 2011 by l3on. Just a few words to greet you from Perugia (Italy). This entry was posted in News and tagged meeting on 18 September 2010 by l3on. After many suggestions coming out from the comments in «It would be nice if in Nautilus» post, I posed a new idea in ubuntu brainstorm. Please vote and comment the idea if you want see it in the next ubuntu releases. This entry was posted in News on 7 September 2009 by l3on.